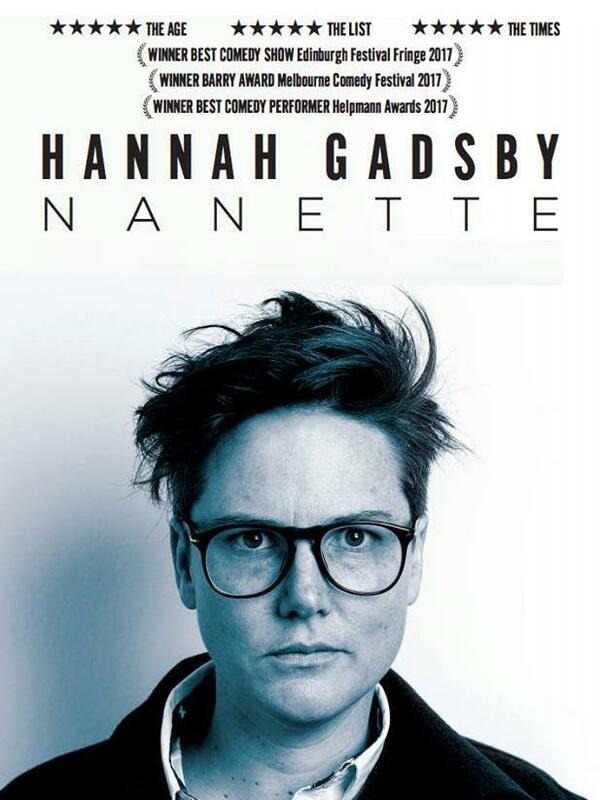 Some months ago my husband and I sat down to watch ‘Nanette’, the Netflix comedy special by Hannah Gadsby. So much has already been written about ‘Nanette’ and the purpose of this article was not originally to comment on that show. In fact, this article was supposed to be two separate articles – each reviewing a different work – a film and a book. But as I watched the recently released Netflix movie, ‘Isn’t it Romantic’, and read the book, ‘Nine Perfect Strangers’ by Liane Moriarty, I couldn’t help but compare both of these texts to ‘Nanette’. I was surprised to find that ‘Nanette’ has become my barometer for feminist cultural works and that ‘Isn’t it Romantic’ and ‘Nine Perfect Strangers’ fell desperately flat in comparison. The movie ‘Isn’t it Romantic’, directed by Todd Strauss-Schulson, stars Rebel Wilson and Liam Hemsworth. It’s being touted as the romantic comedy for the post #metoo era. The basic premise of the movie is that an ordinary woman who doesn’t believe in happily ever afters gets hit on the head and finds herself trapped in a romantic comedy. As someone who grew up during the heyday of the RomCom, the movie, a straight to Netflix number, was fun to watch- it felt like snuggling up in a warm blanket. There are some genuinely laugh out loud moments in the movie. For example, when Wilson’s character realises that she’s trapped in a RomCom and tries to ravish her leading man. Or, whenever she wants to swear, she’s always bleeped over. Or when her best friend and assistant in real life in pinned against her professionally because women can’t get on in the workplace – obviously. But my problem with ‘Isn’t it Romantic’ is that it almost says something important, but doesn’t in the end. It stars a normal sized woman, which is fantastic. However, the character is so hung up on her appearance, referring to “people like her” being invisible, that it just perpetuated the stereotype that bigger women don’t get fairytale endings. I think they could have made a more nuanced point if they had just starred Wilson without casting her as fat. Also, for all the talking about choosing themselves or how women don’t need to end up with men, the ending is as contrived and obvious as any RomCom ever made. Spoiler – she ends up with a guy. It would have been far more refreshing to have seen Wilson’s character come out of her RomCom nightmare content to be herself and to be alone. But in tying up the movie in a neat little bow, it again came so close to being refreshing just to fall flat instead. Similarly, I felt the Moriarty's novel ‘Nine Perfect Strangers’ was a largely enjoyable read. I read it over 48 hours while I was home sick and it too had the warm blanket feel of familiarity and a trite, predictable storyline. The novel is set in a wellness retreat where nine perfect strangers have a life-changing experience. Again, the novel comes oh so close to saying something important. It almost goes to the heart of the so-called wellness industry, an industry that is predicated on women’s insecurities. As the word dieting became passé, wellness took its place. When women talk about wanting to achieve wellness, it is often a thinly veiled attempt to conceal their new fad diet. Because 'wellness' is socially acceptable, but dieting is not. So it was pretty disappointing to read about one of the characters, Frances, who is – spoiler- drugged, locked up against her will and starved for 48 hours, tries to keep a positive spin on the situation by saying, well, at least she’s losing weight. And when Frances is stuck on that said drug-induced trip, she imagines herself going shopping for a new body but comes to realise that her old one was very comfortable. And while l admit there are some genuinely funny bits in the book- one particular scene in the swimming pool is beyond hilarious, I still couldn’t get past the book’s prosaic plot. A woman of Moriarty’s success could use her fame to say something important about the insidious and often dangerous industry that is the wellness industry. How it still uses women’s insecurities, body shaming them into losing weight. How it equates healthy with skinny. But the storyline was just so ridiculous that it didn’t. And that brings me back to ‘Nanette’. ‘Nanette’ is fury. Love it or loathe it – it is so important. And Gadsby uses her anger to say something we all need to hear. And while ‘Nine Perfect Strangers’ and ‘Isn’t it Romantic’ are fun, they’re tacky, and have nothing to add to the critical conversations we should be having.